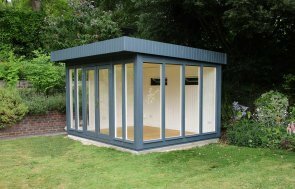 This Langham Garden Studio is one of our wider collection of Garden Studios and Offices, all of which have delivery and installation included as part of our complete service. The exterior of this model was finished in weatherboard cladding, made from the finest FSC® certified Northern Scandinavian Redwood, making this garden room ideal for all weathers. The cladding is coated in Sage Valtti paint, which aside from being an appealing colour that suits all gardens, also contains a preservative that reduces flaking and damage from fungi or woodworm. The apex roof is lined with terracotta composite roofing tiles, which carries a 50 year limited warranty. 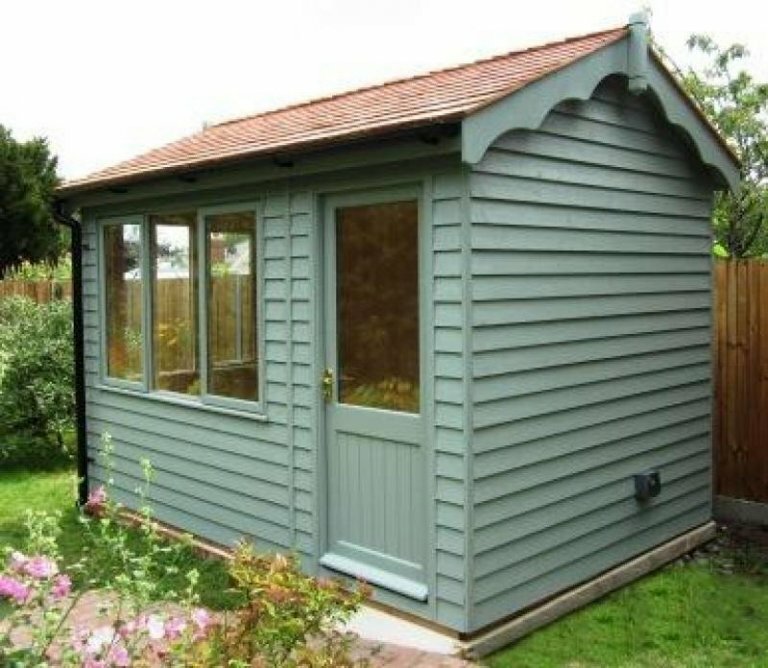 Whichever style you prefer, our range of garden studios are perfect for year-round use with an array of standard features included, such as double glazing, full insulation and solid pine internal lining. 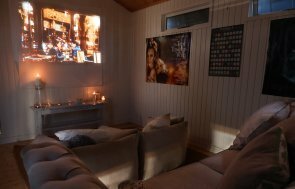 Along with garden studios, we also offer a range of other garden buildings that could work in your garden including, sheds, summerhouses, garages and greenhouses. All of which can be designed and built to your specifications.